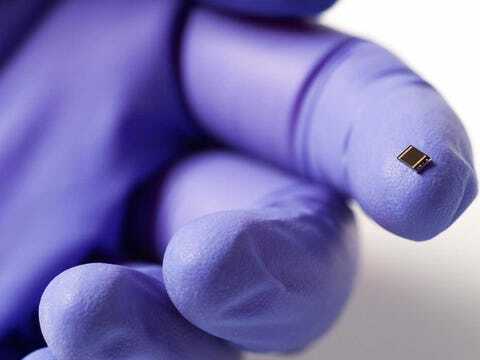 A German-French research team has created a solar cell that can convert 44.7% of the sunlight it receives into energy. That's a new world record (though as CleanTechnica points out some places measure efficiency differently). According to a release from team co-leader the Fraunhofer Institute in Munich, the group created a solar unit made up of four solar cells stacked on top of one another. The cells were made of nitrogen- and boron-based compounds that enjoy high conductivity or electron mobility — basically, it's easier for charged particles to move through the cells. That technology was originally used in space applications. The new cell would eventually be used in concentrat! ed photo voltaic installations, which happens to be the fastest-growing type of solar power. Given this same team already had a world record in May before surpassing it with this new cell, that now seems to be within reach.